The Butterworth UBA Rotating Spray Ball is designed to distribute cleaning media in tanks ranging in size up to 22 feet (6.7 meters). 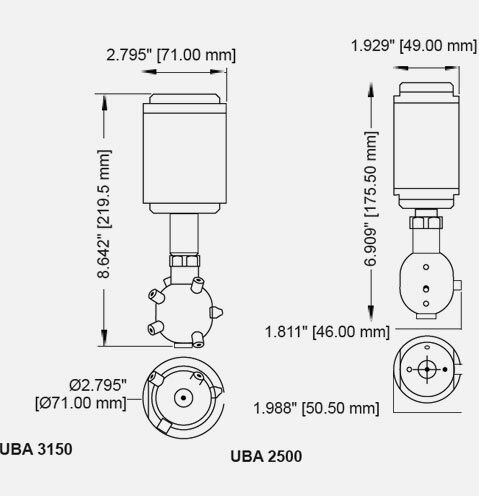 The UBA is a single axis rotary spray ball that projects a predetermined spray pattern within a given tank geometry. 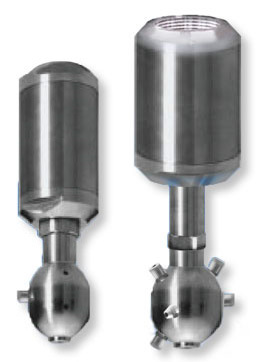 The rotation of the spray ball is controlled mechanically to avoid over rotation, which would result in reduction of spray radius and impact values of the media.